Manchester United dumbfounded a drenched Old Trafford crowd, as their Sunday fixture to West Bromwich Albion ended in a 1-0 loss to the Red Devils. By virtue of them dropping points, Manchester City were able to secure the 2017/18 Premier League title, a feat even the most hopeful City supporter must not have seen coming. All in all, it was a dreadful showing from a side that ironically delivered the finest second half of football seen all season when they squared against City just last week. Even a shadow of that team wasn’t in effect on Sunday, and enough credit can’t be given to West Brom for the way in which they played, very uncharacteristic of a side that is more or less doomed for Championship football next season. United fans across the globe will be disappointed with what their team has gone on to do, particularly after the heroics of last week. But perhaps their biggest source of disapproval comes from a man within the stadium itself, a man who led them for decades to such success that, quite literally, one half of the stands at Old Trafford are named after him. 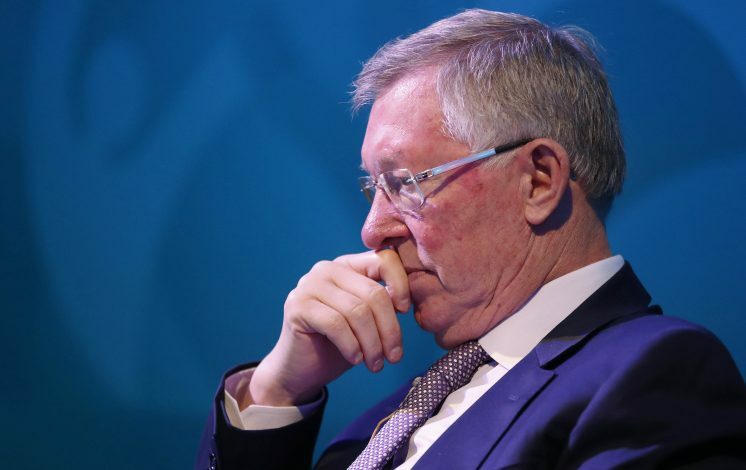 Sir Alex Ferguson, in the dying minutes of the match, was a sorry sight to look at. Clearly not impressed with the way the lads were playing, he must have been itching to knock some attacking sense into the erstwhile talented players. He will be thoroughly disappointed with the fact that they lost the title to City this early, and even gifted them a joint record of the earliest title victory ever. It goes without saying that a United team under the legendary gaffer wouldn’t have let such a feat happen. Then again, would a United under Ferguson even be lingering in the second position and letting their most bitter rivals walk away with the title?